We hear a lot in the media about the effect of neonicotinoids on insects and bees in particular. A couple of weeks ago I listened to a talk given by Phil Lester from Victoria University, what he said was enlightening to me. There is no doubt that neonicotinoids are powerful! (up to 20 x that of DDT) But tests show that there is no scientific proof that they are causing a “beepocalypse” as is being promoted by the media. “Neonics” are systemic pesticides (unlike contact pesticides) that are coated on the seed and as the plant grows the systemics are transported up through the tissues including stem, leaves roots and flowers. This toxin remains in the plant for many weeks and protects the plant from sap feeding insects. This is a far more discriminant way of protecting crops as opposed to the alternative of spraying pesticides. 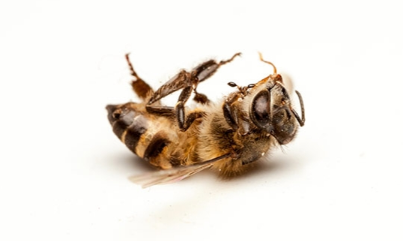 The fact is that bee numbers have increased in every continent over the last 20 years – that is the entire period neonics have been on the market.